Everybody wants their clever posts to go viral or for their website to become the next big thing, but these ethereal goals are difficult to achieve because they lack definition. Before you decide to go viral, you need to know what that really means to you and your business — which is why web marketers have developed a number of key performance indicators (KPIs). 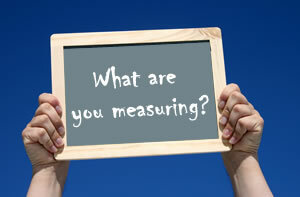 These indicators give you and your team a concrete way to actually quantify your online business’s progress. Now, instead of dreaming up a goal that’s lofty and undefined, you can point to specific figures and monitor changes over time in certain areas to better direct your marketing efforts. For example, you are promoting a new eBook about your awesome services. How much time was spent creating this eBook? Take everything into consideration, pictures, copy, strategy, etc. Then create a great landing page track it, rinse and repeat. There are a number of KPIs that I consider valuable, but the most important one are going to what your company and team customize and deems of value. Conversion Rates. Your marketing efforts are converting clickers into leads, but how many? Can you tell which new leads came from Facebook or Twitter or off a Google search? Knowing the rate of conversion for your ads can help you move marketing money to the most effective outlets. Extra: Here are a few articles on how to set up your conversion rates via Google Analytics. This second one is a step by step overview on tracking conversions from SEO Chat, with a different insight. Customer Acquisition. How many new customers are you actually capturing from your efforts? Clicks and converted leads are a good step, but if they never turn into purchases, there’s no real value in the lead generation source. Figure out where your customers are coming from and you’ll improve your bottom line. Extra: Here are a few tools for customer acquisition arsenal from Fast company. Repeat Customers. Repeat customers mean that you did something right the first time, so congrats are in order. Now determine what percentage of your customers come back for more and you’ll know if you need to tweak customer retention efforts. Social Sharing. There’s nothing better (short of a referral) than social sharing. Your current customers can tell other people how great your products are with just a click of a button. Keep track of which networks get the most shares and adjust your social media presence accordingly. Mobile Leads. How’s your mobile site doing? Track your mobile customers in the same way you track your main site’s customers and find out. Extra: Practical E commerce has over 15 mobile apps for customer management and lead generation. Page Views. It sounds pretty basic, after all, page views have been monitored since the Internet was in its infancy. Page views are still an important metric, telling you just how many people are looking at your site. With that data, you can compare new customers, repeat customers and other KPIs to come up with all sorts of information. Sales Revenue. Like page views, sales revenue is a basic metric that you should be tracking closely. Knowing how much money you’re making from your website is vital to determining how to pilot your online marketing plan. 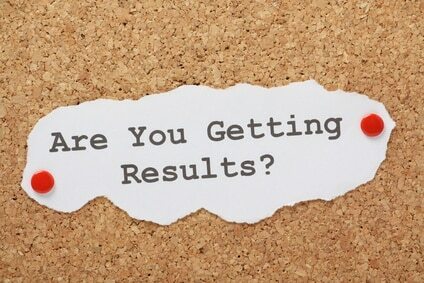 Once you’ve got a handle on your basic KPIs, you can then tweak and calculate results with short and long term goals. You can create a scalable content campaign based on proven formulas that work directly with your audience. That’s why it’s imperative you understand what parameters you are going to value. What will speak of your brand, while creating a community. Cost Per Lead. Knowing how many leads you’ve generated makes it simple to calculate what each one costs. If you’re spending more on generating a lead than they’ll likely spend at your site, it’s time to reconsider your marketing. Extra: there are so many great articles on this topic, I wouldn’t know where to start sharing. I think it’s important to first share this article about the Definition of a Lead. Then of course there’s a great post over at Word Stream on How to Measure the ROI of Social Media includes tools. Customer Lifetime Value. Once you’ve had a few sales, you can start calculating this metric. Just take the average customer sale amount, multiply by the average number of purchases per customer per year, then multiply all that by your average retention time in years. Extra: How about taking a look at Identifying Your Most Valuable Customers it’s looks like a great tool. Another suggestion I would make is to look at Identifying Your Customer Acquisition Cost (CAC). Return on Investment. Everybody’s interested in their ROI, even if they don’t know it. Figure out how much you’re making off the new marketing campaign and compare it to what you’re spending for it to determine your ROI. Extra: I could write a whole new article with all the information on this one topic. 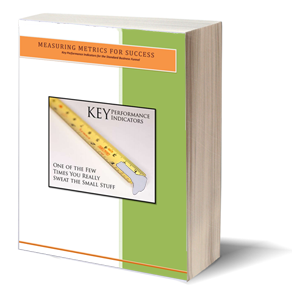 But let’s just go with Eleven Free Tools To Measure Your Social Media Success. Then there’s always social media examiners thoughtful insightful post on How To Measure Social Media ROI including tools. Search Performance. How well your site is performing on Google is important whether you’re using traditional SEO or going for a more organic approach. High rankings for your targeted keywords means more views that might turn into traffic. Extra: Pamorama has a great alternative to Google keyword tool with the 10 Great Alternatives to the Google Keyword Research Tool. This extra tip section wouldn’t be complete unless we included an article we wrote a while back with over 20 SEO Tools To Help You With Your Search Performance. Traffic to Lead Ratio. If you’re already tracking traffic and lead numbers, it’s a breeze to compare your traffic to the number of those same people who actually convert to leads. A higher number of conversions means you’re targeting the right group of people. Extra: Aside from the obvious Google Analytics there’s a great list of 30 Best Media Monitoring Tools. Lead to Customer Ratio. Just like traffic to lead ratios, it’s important to figure out how many of those good leads are actually becoming customers. If your leads aren’t turning into customers at a high enough rate, you need to look at your content more closely. Time Spent Engaged. This one is related to your lead to customer ratio. In fact, it’s safe to say that there’s a direct correlation. The longer leads spend on your site, the more engaged they are and the more likely they are to turn into customers. Engagement is everything when it comes to turning a customer into a sale. There are plenty of KPIs to chase out there on the web, but the fact is that most companies keep their KPIs to a manageable number of four to 10 indicators. 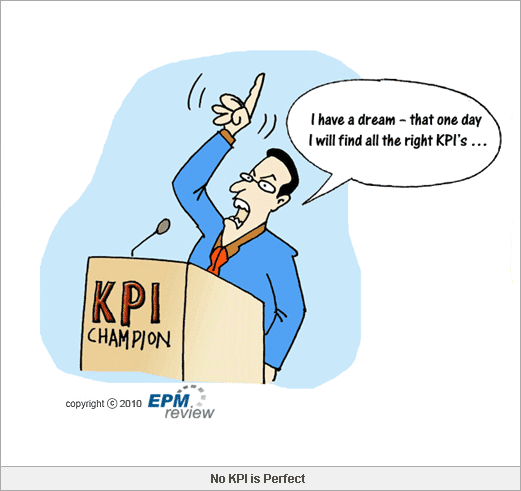 Don’t over-focus on those KPIs you’re tracking, instead use them to gently pilot your marketing plan. KPIs are useful guides to adjusting your efforts, but they can’t tell you everything there is to know about your customers.